Sunday morning and as the Aya Sofia and Blue Mosque chimed their call for prayer we awoke to catastrophe. The area in which we were staying was a touch rough, so all roof box items had been hidden within the security of Judith. Sadly, someone had taken a shine to her passenger mirror. Popped off from its clips we’d been left with no way of overtaking, and so priority was to find a replacement. A five minute walk down the road and we purchased a beautiful hand painted piece, but protruding too far from the car it was, whilst fitting, unfit for purpose. A few days earlier and George had smashed his phone screen. In search for a screen cover to secure loose pieces, we came across a dark skinned Turkish man, tending to his protruding nostril hair whilst manning his stall. A few minutes later and we’d purchased his vanity mirror and duck taped it to Judith. Whilst a touch magnified, it did the job. 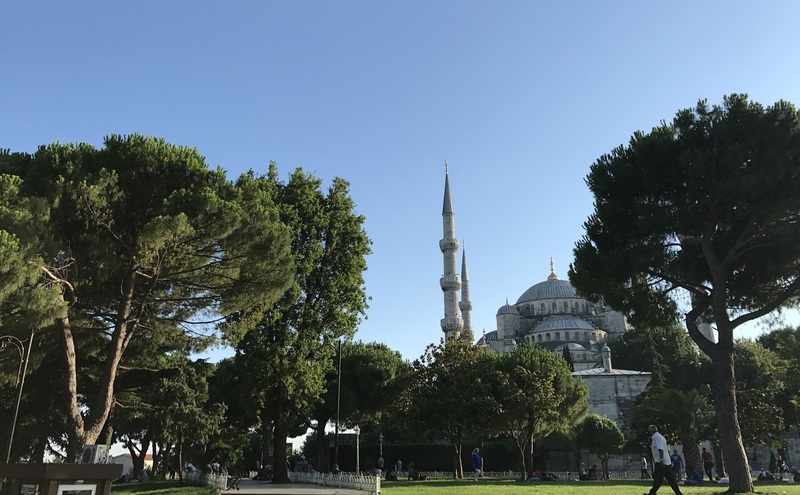 Istanbul was huge but, tight within the surrounds of our Bahaus Guest Hostel, and a stones throw from the city’s most impressive mosques, were a maze of entangled alleyways and streets. It was Sunday so the main bazaar of Istanbul was shut, but the Egyptian market gave us a taste of the city’s trade history and bustling commerce. A charming man at an ice cream shop caught our attention and quickly proceeded in ripping us off. The magic of his cone-dance concluded with us each holding an ice cream – a predicament tricky to get out of, or position from which to barter. The show was worth the inflated price though and so we tucked into our stringy ice cream – much different to your standard Mr Whippy it had an almost hubba bubba texture. Our camera women Alex was still holding out for her Iranian visa. She’d been a few weeks behind us in applying and thus had instructed her authorisation code to be sent to the Istanbul consulate. Unfortunately, we’d heard on route that her application had been refused – for unknown reasons. 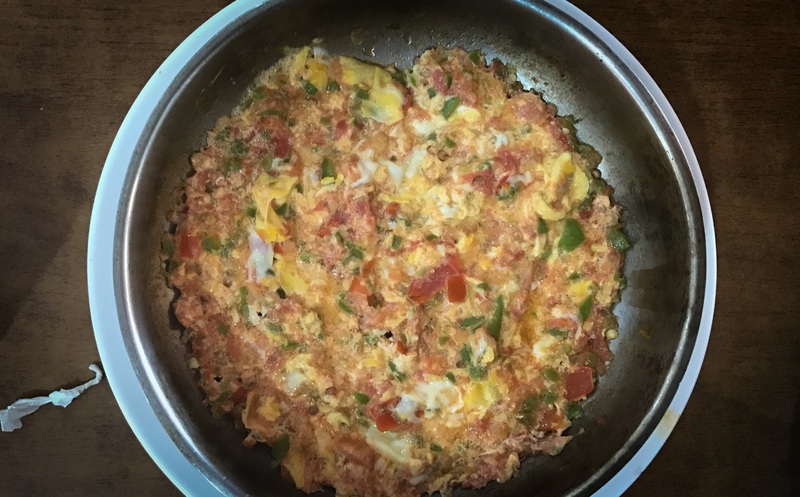 We ponded our options over the most delicious menemen, a saucy semi-scrabbled egg, tomato and herb mix. 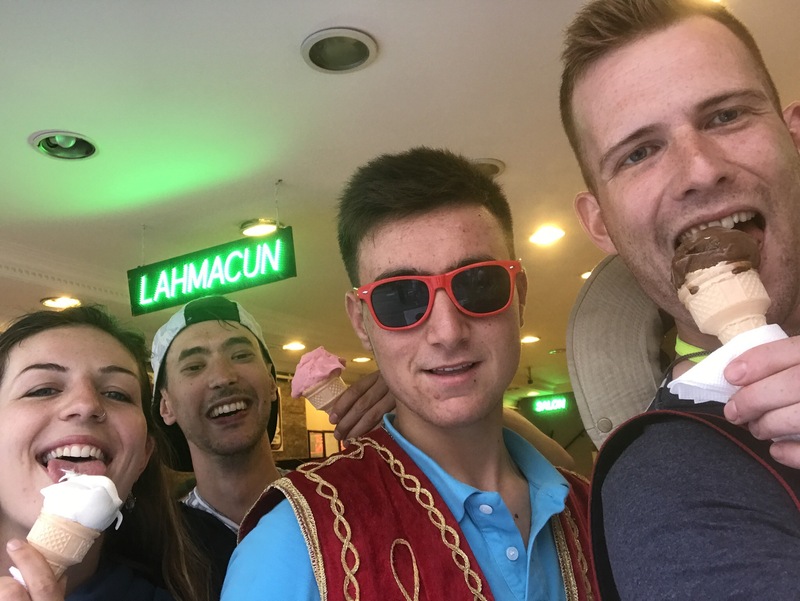 Our final day in Istanbul and we took a punt on there being some loop hole if turning up in person at the embassy. There wasn’t, and so plan ‘meet up after Iran’ began. That evening we pulled off the main highway east towards Samsun. The sun was about an hour from dropping behind Turkey’s central spine of mountains. Reaching almost 6,000 feet the landscape had taken us by surprise. And, Judith too. 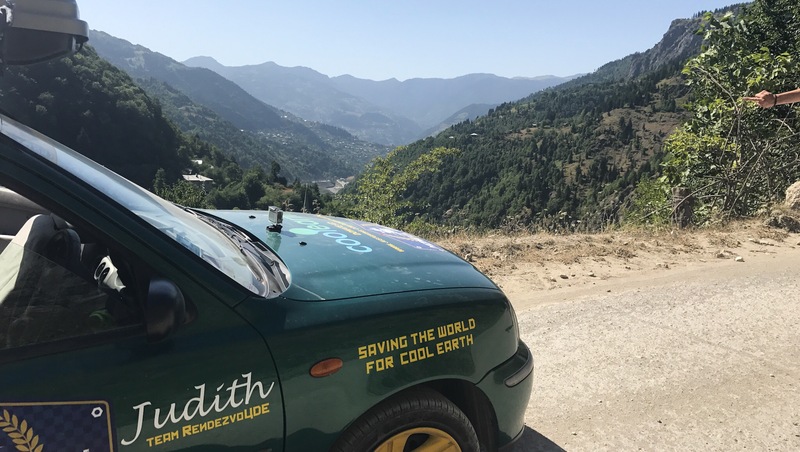 An eight mile climb appeared flat throughout, but Judith’s temperature gauge said different and soon, we had no choice but to stop and let her cool down. Whilst squeezed into the hard shoulder, it was a welcome opportunity to admire what is perhaps an often missed highlight of this stereotypically beach-break destination. Our previous wild camping attempts had been in the dark – not ideal. A quiet road running parallel to the main motorway seemed perfect. Setting-up camp we got out the noodles and enjoyed a few hours of rest before the sun finally disappeared. Only two cars had passed us in the space of three hours. As we began to clean our mess tins, four sets of headlights skidded to a halt behind us. Before the dust had settled nine well-fed locals poured out among our equipment and rally essentials. A waterfall of Turkish, raised voices and laughing proceeded. We were petrified. I walked over to the group’s ring leader, thinking that if we were to die there and then, that we may as well have a conversation first. Thumbing google translate we soon discovered English to Turkish was relatively inaccurate. George, spectacularly dressed in his pyjamas, spotted an oncoming tractor. He’s since tried to explain his reasoning for what followed, with little success. An hour earlier or so we’d heard dogs in the distance. Turkey is full of strays and they’d do anything for a hearty meal of noodles and lamb. We had a small camp fire simmering in the background, giving us a dim glow to eat with. I’d found a long stick to the side of the road and placed the end in the centre of the fire, allowing it to catch but not burn. This was my dog stick, as I explained over our watery dinner. Perhaps this thought stuck or perhaps it was the closest thing to hand, but George grabbed the thin branch with an axe-wielding grip and stood in front of the tractor waving his ‘fire-stick’. I think the logic being that they could help us – though I still insist that the less locals around us the better, in that particular situation at least. Fortunately, as the two figures dismounted the tractor and walked towards George, we saw that they were both little more than 12 or 14. More petrified than us, and Georges fire-stick, they quickly scrambled. We had to move on. The Turkish men seemed aggressive. We chucked everything onto the back seats: half erected tents, fully inflated roll-mats, camping chairs ready to relax on and a scooped mess of camera equipment. A phone was passed to us. ‘We know a good place for you, follow us’, it read. Not following wasn’t an option, so we weaved around what we thought was our idilic side road, back to the village. At this point we were so unsure as to the guys’ intentions that we decided to take advantage of them stopping, and shot off. The next evening we arrived at our Air B&B in Trabzon where we taught cards games to our host Farkan. His brother spoke good English and so together we reviewed the footage from the previous night. The nine men that had surrounded us thought we were Russia. They’d arrived as a group for their own protection and, upon realising we were English, were trying to invite us to their garden to camp. An opportunity we were gutted to miss out on and, had it not been pitch black in the middle of no-where, would have been more easily understood. The next day we drove two hours to the Georgian border, via an ancient, closed, monastery high up in the hills south of Trabzon. 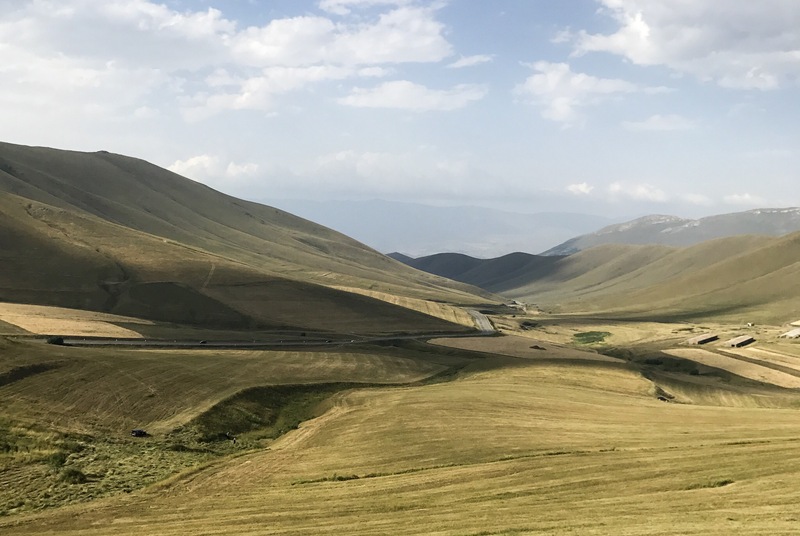 The Turkey / Georgian border is notoriously slow – it took us six hours. But, we took time to take a dip in the most serene cove, and George knocked up some noodles. 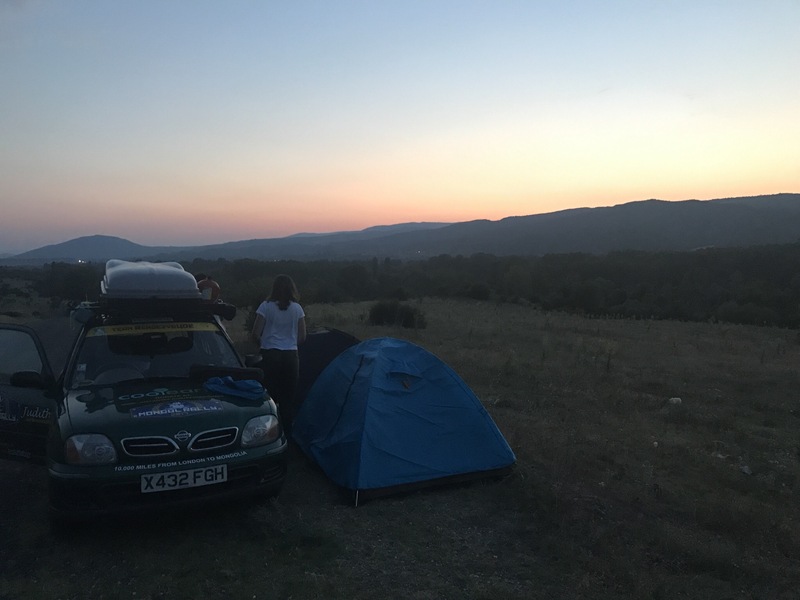 Taking the advice of a fellow rallier we took the long route to the capital Tbilisi – a 100km dirt road. It took us up 8,000 feet, deep into the mountains where local farmers starred at our silly cars in amazement. The detour took us 8 hours, but was entirely worth it. A quick stop in Tbilisi, Georgia’s capital, gave us chance to pick up life saving coil packs for some fellow ralliers 300km a head, before we crossed the border into Armenia. For the first time we were hesitant of the country we were crossing into. Hearsay had made us weary and areas with ongoing conflict with Azerbaijan dotted our route. We were on our own, split from the convoy, and shuttling along at our top speed. Four hours passed as we drove onwards towards Yerevan. 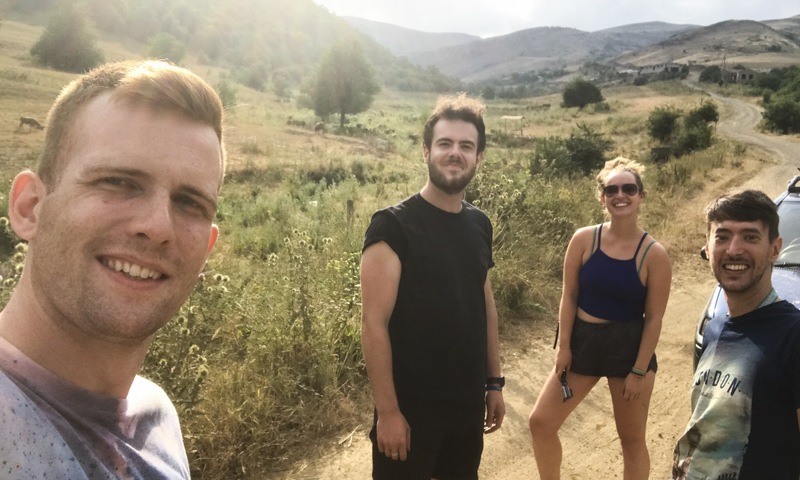 Quickly we found ourself traversing the sides of a huge gorge, a crack spanning 10-15 miles through the heart of Armenia. For miles we climbed until finally we rolled over the top. We were surrounded by expanses of grassy plains, bordered by huge peaks that climbed even further to the sky. Bee keepers tended to their flocks and men traded stories under the shade of meek and wirery trees. Women watched over their melon stalls and children and animals danced around the sides of the road. 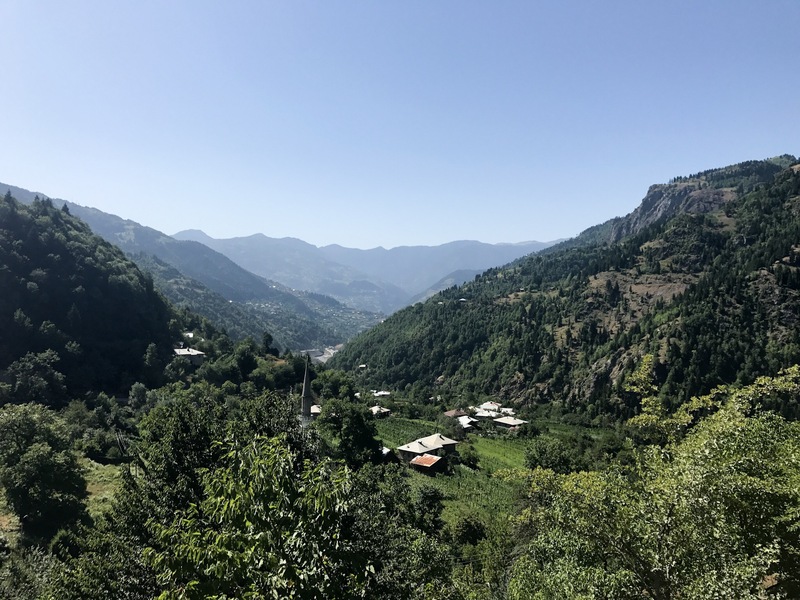 Having experienced the arduous climb to 7,000ft it felt as though we were driving through a community in the clouds, so disconnected from the world downstairs and unashamedly content with their seldom lifestyle. 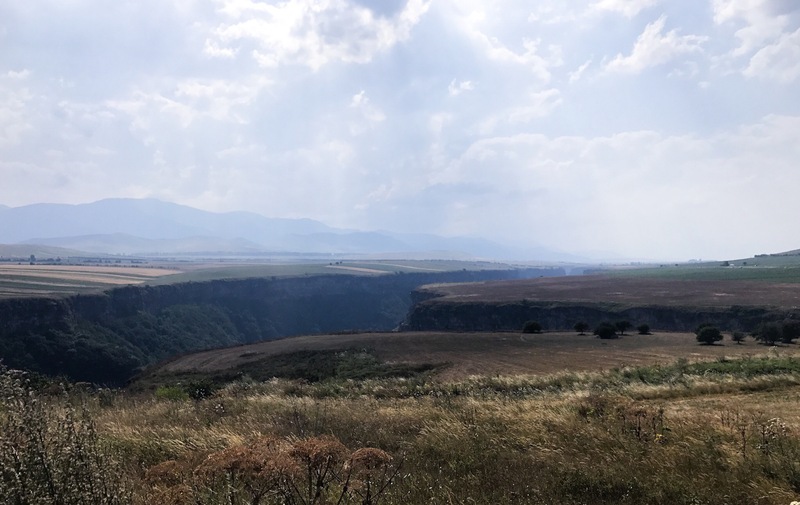 Armenia, a country we were petrified of, delivered the most stunning landscapes of the trip so far. We rolled up at the Yerevan Hostel where TJ and Luke gratefully received their coil packs. They worked, perfectly, and so the next day we convoyed south to the Iranian border where the next leg of our adventure would begin.